After working in finance for 8 years, I quit my city job and spent 18 months travelling the world, climbing Kilimanjaro, backpacking around South America and doing a ski season. I used this time to help me decide on what I wanted to do with my life. I set up Tough Girl Challenges as a way of motivating and inspiring women and girls. 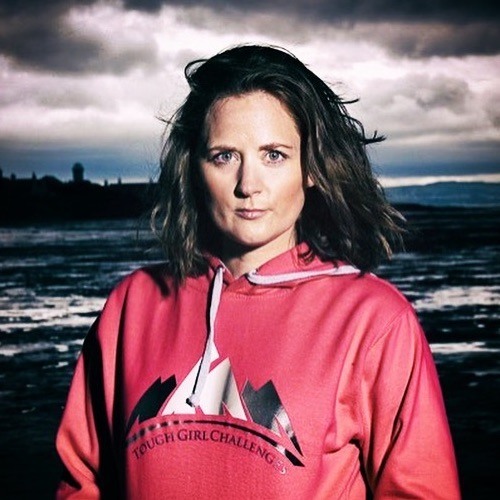 I'm the host the Tough Girl Podcast where I interview inspirational female explorers, adventurers, athletes and everyday women who have overcome great challenges. I completed the Marathon des Sables in April 2016 and in 2017 I will be thru hiking the Appalachian Trail (2,190 miles) in 100 days! Feeling inspired week after week? You can do 3 easy things to help me continue to grow the podcast! 1. Subscribe to the podcast so you won’t miss a single episode 2.If you’re loving the podcast, please leave a 5-star review, I read every single comment! 3.Share the podcast with your friends, especially if you think it could help them, and spread the #ToughGirlPodcast love. Your support helps me continue to grow the podcast and do inspiring things in this space! Already done all 3? You’re a rockstar! Thank you! Want to do more? Please become a Patron and donate a small fixed amount every month to help fund the runnings costs.